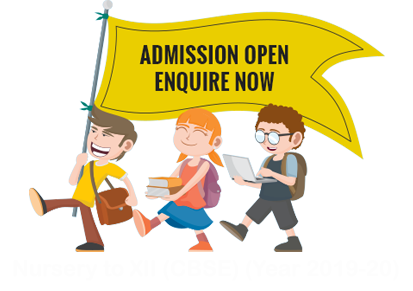 Nirmal International CBSE School (NICS) is affiliated to CBSE Board-New Delhi. The Academic Curriculum and Continuous and Comprehensive Evaluation Program of CBSE are inclusive and complete in educating children to play a decisive role in future to solve real world problems and to promote global understanding. Our main focus is to develop adequate muscular co-ordination and basic motor skills, to develop good health habits, to help the child understand, accept and control feelings and emotions, to motivate group participation by providing opportunities to think and create. Children are allowed to explore and discover freely and express their interest and fascination to their new discovery. They are exposed to the idea of Indian spirituality, friendship and sharing through our specially designed celebrations. Our multidimensional approach enhances optimal child development and helps our children grow as intellectual, confident and healthy individuals. Our creative curriculum and specialized methods of teaching contribute to the children’s cognitive and emotional development, Communication (talking and listening), Knowledge and understanding of the world, Creative and aesthetic development, Physical development, Mathematical awareness and development. Teaching methods at this level are very interactive which initiate life-long learning. We help them to differentiate between positive and negative behaviors. Our children are rewarded for their good choices which boost their confidence. We emphasize on reading, writing and arithmetic skills. Exploration and discovery is the method of our teachers to help students learn conceptually. Students are given ample opportunity to work together, discuss possible solutions, and speculate about theories. They are encouraged to look at many possible ways to solve a problem, not just find one "correct" one. They make observations, ask questions and share their ideas. The outcome is more learning, new ideas and curiosity satisfaction. We emphasize self directed learning. From the Middle School, the curriculum takes on a broader facet. It focuses on a subject-based curriculum besides meaningful and rich assignments for accentuating learning experience. Early in preparation and far-reaching in vision, at this stage, NICS insists on research orientation by developing writing and oral skills. Students work independently and also in groups. Learning is based on their questions and along their progression of discovering knowledge. The purpose and function of this learner-centered approach is to apply knowledge and skills to deal with problems. The teaching ideology at all levels at NICS is based on the theory of multiple intelligences with the belief, that given a chance, each child can achieve his goals in the area of his interest and aptitude. We are thus committed to provide children choices, guidance, encouragement and the finest learning experience. Education at NICS, is not restricted to text books. A range of activities that include projects, field trips, interviews, music, dramatics and story sessions make the learning holistic. Complete learning flexibility is maintained, with a lot of scope for creativity and imagination.